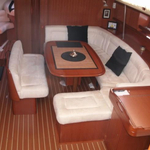 In 2007 has been manufactured sailboat Dufour 455 Grand Large named Capriccio. 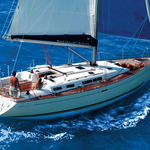 This sailboat is based in port Milazzo in region very close to Sicily in Italy. 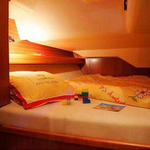 You can take in up to 10 crew members on the boat Capriccio. Layout of beds is 10 (8+2). 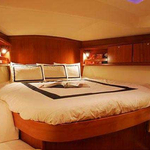 There are 4 bedrooms placed under she's deck. Capriccio has 3 WC. 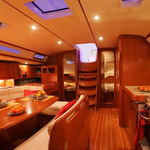 Look for other boats by opening this link here: Yacht charter Sicily. Tank for fuel is 250.00 l liters capacious , water tank has up to 500.00 l l. In this boat there is engine Volvo 55 hp. 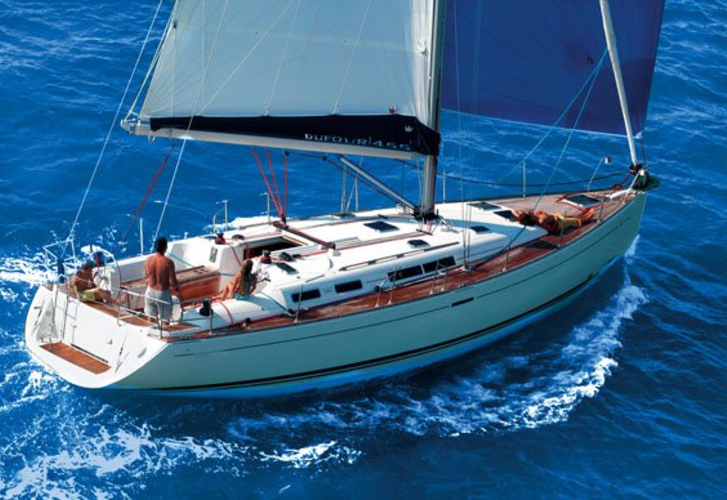 With 13.76 m of lenght overall and 4.39 meters of width Capriccio offers enough space for comfortable sailing. 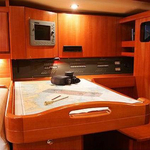 Dufour 455 Grand Large Capriccio is equipped with: Autopilot, Gps plotter, Bimini top, refrigerator in cockpit, Radio cd mp3. . Security deposit has value 2000.00 EUR. 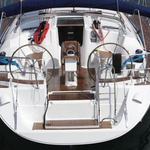 You can find different boats clicking here: Yacht charter Milazzo.